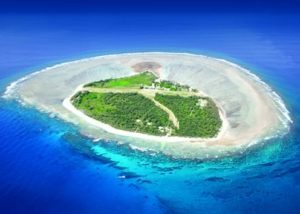 Lady Elliot Island has an Eco Resort and spectacular diving. 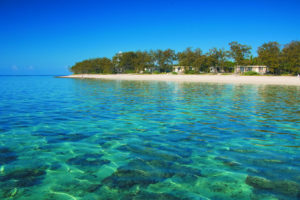 Lady Elliot Island is a coral cay situated at the southern tip of the Great Barrier Reef. It is located approximately 80 kilometers north-east of Bundaberg and nestled in between Fraser Island and Lady Musgrave Island. Lady Elliot is the closest Great Barrier Reef island to Brisbane. The Island lies within a Marine National Park ‘Green Zone’ and forms part of Australia’s World Heritage Listed Area on the Great Barrier Reef. Again, ranked in the top ten, and only a few hours drive north of Brisbane, Lady Elliot is a mecca for divers of all levels. The relaxed atmosphere and brilliant diving attract divers from all over the world. One great thing is that much of the diving is straight off the beach, so you can dive at your leisure and as often as you like. There are also underwater trails marked out to lead the way to bommies and points of interest. These trails provide the novice with assurance of orientation. There is also boat diving available and regular trips run to Hero’s Cave and the Blowhole, which are popular. Visibility is over 20 metres for much of the year and encounters with giant Manta Rays, Green, Hawksbill and Loggerhead Turtles and an abundance of incredible marine life are a daily occurrence. PADI recently named Lady Elliot Island as one of the ‘Top 5’ locations in the world to go diving with Manta Rays. There are regular close encounters with whales under water while diving and snorkelling in the months of May right through to October. Be aware of weight restrictions on travel to the Island unless you are traveling by boat. The light aircraft has severe weight limitations that affect divers. No public transport boats go to Lady Elliot on a regular basis, if you are traveling by boat , it is likely to be your own.